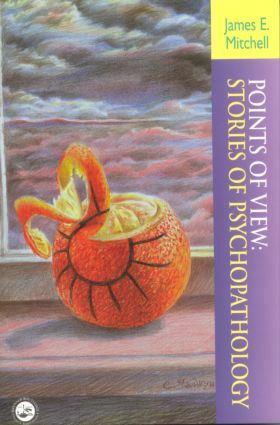 Points of View</EM> is desingned to provide students at various levels of experience and training with illustrative examples of individuals with different forms of psychopathology. The work is designed primarily for students who are studying descriptive psychopathology, including psychiatric residents, medical students on psychiatry rotations graduate students in psychology, or students in various related mental health fields, including psychiatric nursing, social work, and school counseling. The stories are written to illustrate the key elements of psychopathology for these various disorders.<br> Each is written from two perspectives: the perspective of the individual who has the disorder, and the perspective of someone else in their environment (e.g. a family member, a friend, a doctor). The thoughts of these individuals, as opposed to their speech, are given in parentheses. This design was chosen to attempt to illustrate not only how people with these disorders think and feel themselves but also how they appear to other people around them. The emphasis, therefore, is on the difficulties, often the suffering, experienced by people with various mental illnesses, and also on the adverse impact these illnesses have on others, which is often substantial. knowledge of his feelings for her. She thought up various ways to do it and fantasized about it sitting in the nursing station. In her fantasies, when she confronted him with what she knew to be his feelings, he would embrace her; at other times shake her hand, and affirm his deep commitment to her. His exact reaction varied, but in her fantasy, this would be the turning point when they would begin sharing the rest of their lives together. Not just there in the Intensive Care Unit, but at other times as well. She fantasized about traveling with him to medical meetings, what they would do on the weekends, the serious talks they would have about all the changes in health care, new orthopedic sur-gery procedures, steps forward in nursing practice. One night she al-most burst forward with her confrontation when the two of them were briefly alone in the nursing station. But no, the time was not appropri-ate and she decided afterwards that the safest way to make him aware that she knew how he felt was by giving him a note. The next day when he had made rounds and was about to leave the unit after seeing his patients, she handed him a sealed envelop marked "personal" on the outside. She took him aside briefly, and asked him to read it later when he was alone. The letter read: Dr. James Connors sat in his office chatting with Judy Carter, Director of Nursing at the hospital. He had called Judy earlier that morning, asking to see her as soon as possible about one of her staff. Although Dr. Connors was relatively new to the facility, the nursing director knew he was well liked and highly respected, and she was concerned that he might have some complaint regarding how her staff was per-forming. She found Dr. Connors' air of comfort and calm reassuring. "What's up Jim?" she began and fixed her eyes on the surgeon across the desk from her. She liked this man a great deal. He must be about the age of her own son, who was a cardiologist in Pittsburgh. Dr. Connors and her son had much in common including an ethic that dictated hard work and unconditional concern for their patients. settled into a predictable routine, and both were doing reasonably well in their classes, and dating. The two decided to pledge a fraternity together so that they could live together the next year as well, in a fraternity house. Recently Larry had become increasingly concerned about John. To all outward appearances John seemed fine, but he didn't seem to want to go out much anymore or do things with Larry or his other friends. He tended to isolate himself in their dormitory room. Though he had initially seemed to enjoy campus activities and fraternity parties, he quit going out much at all, and Larry didn't understand why. That night as both were crawling into their beds after an evening of study, Larry brought up his concern with John: "Man, I don't under-stand what's going on. Now you're talking about depledging and stay-ing here in the dorm. What's the deal?" John replied that the fraternity wasn't working out for him the way he had hoped, that he didn't think it was as much fun as he thought, and he'd like to spend more time alone. "That's not like you at all, man" replied Larry. "Are you depressed, man? I really don't get you. And there's something that I've been wanting to talk to you about, but I've been afraid to because I know you're going to say no. I found out where you and I and some of the gang can get jobs working at a national park for the summer. Nobody really wants to go home. These jobs are pretty easy to get. Tom Peterson called and found out about it. We need to apply soon, and we could be at Yellowstone Park this summer rooming with other guys and girls. It would be one long party. Think of the backpacking, man. We would have a blast. But I bet you won't do it." "And what about Sue?" Larry continued. "You haven't called her in three weeks. That chick really likes you, man. She's a neat girl. She really cares about you and now you've just dumped her. I don't under-stand you at all. You're weird." The phone in the room rang and Larry picked it up. "Larry and John's room; fire away." John saw Larry's face tighten. Larry covered the mouthpiece with his hand, "Speak of the devil. It's Sue." John's heart sank. He had known this would happen but he wanted to put it off as long as possible. Larry said, "Look man, this is your last chance. I'm going down to the T.V. room." He passed the phone to John and headed out the door. John didn't know what to say. He thought Sue was a wonderful girl, but he knew she realized that he was a dope and that eventually she would get rid of him. He just couldn't face that. He swallowed hard and put the telephone to his ear and said, "Hi Sue. How are you doing?"